Here are the 4 simple steps you would need to follow to submit a document to us via our online editing service. These steps should take no more than 5 minutes. After we receive your document we will return a corrected version to you within your requested time limit. All changes will be tracked on your original document using the Microsoft Word 'Track Changes'' function. Also you will get an email to confirm that your document was proofread and ready for downloading. 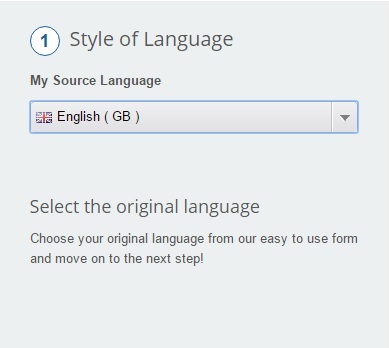 Choose your original language from our easy to use form and move on to the next step! We offer a professional English proofreading service, whether it is British or American English. Please submit all work via our website. 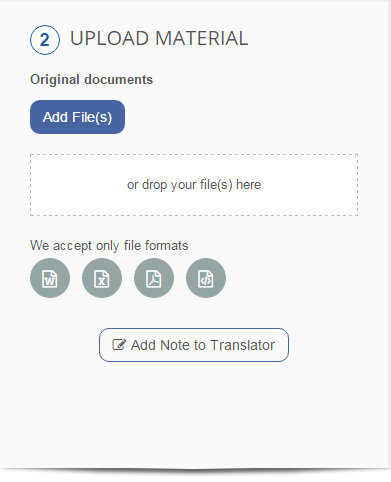 Please note we only accept docx, doc, pdf and rtf file formats. Also, add note to our proofreader. To help us and our proofreader to help you and meet all your requirements, please give us as much information as possible. 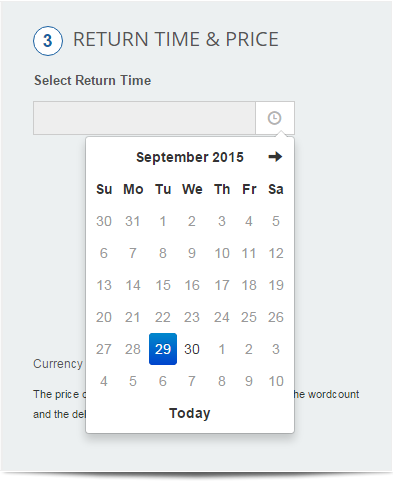 Choose the delivery time when you would need to receive your proofread document back. Your document will now be proofread. 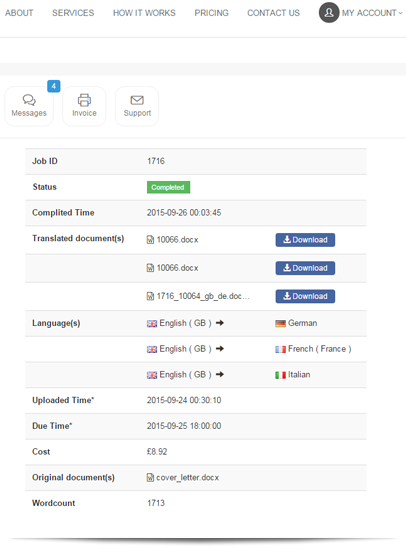 After we receive your document we will return a corrected version to you within your requested time limit. All changes will be tracked on your original document using the Microsoft Word 'track changes' function. Also you will get an email to confirm that your document was proofread and ready for downloading. We can address your work from a number of perspectives. If you wish to have your Masters dissertation proofread, we can ensure flawless spelling, grammar and expression throughout, weed out typos and improve layout and formatting to create a stylish, professional piece. Unlike most other custom writing services, we provide native speaking writers to our North American customers. You can be sure that you will not receive a paper written by Pakistani writer with poor language skills. Our flexible win-win pricing schema allows us to adjust writer rates and to differentiate between U.S. nationals and those from the rest of the world. Along with experienced and loyal customer service reps, writers whose first language is English are our main asset which we aren't going to give up in favor of doubtfully higher income. Our academic proofreading and editing team have the experience to make sure your papers, essays and even dissertation flow better than you can imagine.